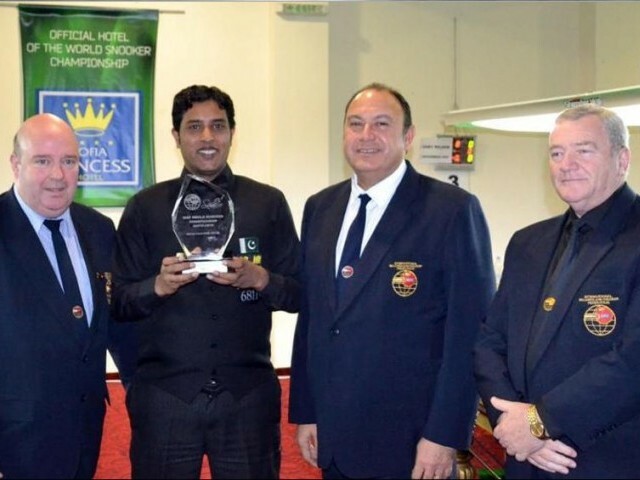 BULGARIA: �I have been dethroned,� were the first words that came out of former world snooker champion Mohammad Yousaf over Muhammad Asif�s victory at the IBSF World Championship, when he became the first Pakistani after 1994 to win the title after defeating England�s Gary Wilson 10-8 in Sofia, Bulgaria on Sunday. Asif is the third Pakistani to reach the final of the amateur World Championship; earlier Yousaf won the title in 1994, whereas Mohammad Saleh lost to India�s Pankaj Advani in 2004. This was Asif�s fourth appearance in the World Championships, and his best run at the event has been reaching among the top 32 players last year. However, he began his campaign in Bulgaria with confidence defeating Australia�s Vinnie Calabrese 5-0 in the first round. He overcame Egypt�s Wael Talaat 5-2 in the pre-quarterfinal, crushed Syria�s Mer Alkojah 6-2 in the quarterfinal and outclassed Malta�s Alex Borg 7-1 in the semifinal to make his way to the trophy. Asif began the match with confidence and took the lead 6-3 at the end of the first session in the best of 19-frame final. The 30-year-old continued to lead the match 7-5 despite Wilson�s break of 111 in the 12th frame. However, Wilson regained his focus in the following two frames and equalised the score 7-7. The two battled in the 14th frame as Asif took it only to lose the next one when Wilson forced the break of 59 in the 16th frame. Asif, however, bounced back into the match leading 9-8 and sealed the victory in the 17th frame 64-0 to clinch the trophy. Meanwhile, according to the 60-year-old former world champion Yousaf, who was following Asif�s match online back at his home in Rawalpindi, said that he feels he has been dethroned by Asif. �Now I can�t say that I am the only Snooker World Champion from Pakistan, I feel a little jealous now,� said Yousaf. Asif is the third Pakistani to reach final of the world event. Before him, Mohammad Yousuf had won it in 1994 while, in 2003, Saleh Mohammad was defeated by Pankaj Advani of India. Nice Post Sarah ... Good One.